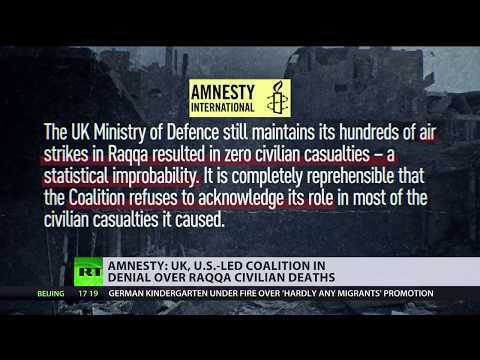 UK & US-led coalition in ‘deep denial’ of civilian deaths in Syria’s Raqqa – Amnesty International | We Seek the Truth! Rights group Amnesty International has released a damning report on the, quote, “deep denial” – of Britain and the U.S.-led coalition, over civilian casualties during the anti-ISIL operation in the Syrian city of Raqqa. REAL REASON For Total Shutdown Of Youtube?